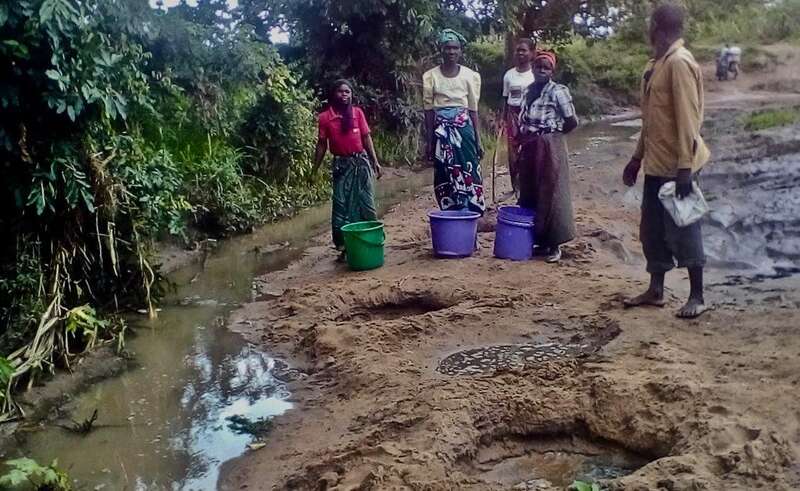 Baluwa Village, Malawi is a very impoverished, rural area where the villagers have been learning and implementing sustainable farming techniques, but they are seriously struggling as they do not have a source of clean water. 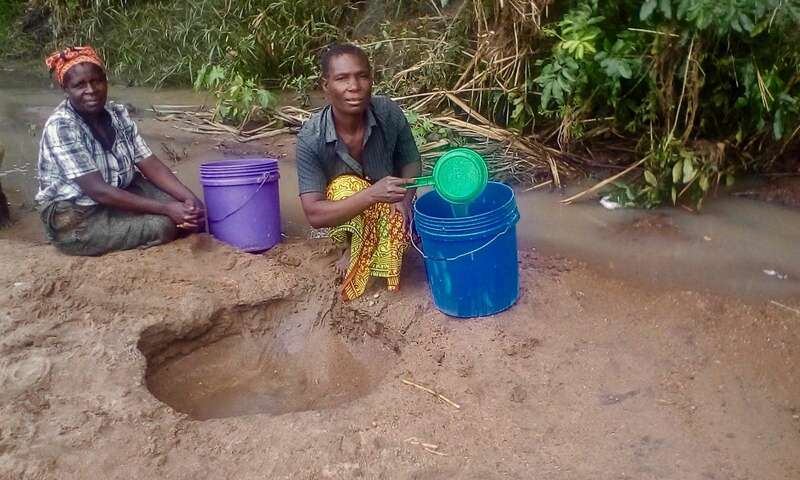 For these people, the current water source are shallow, hand-dug wells dug beside the swampy freshwater streams which run from Chiladzulu mountain. To reach the swampy streams to fetch water takes upwards of five or more hours. 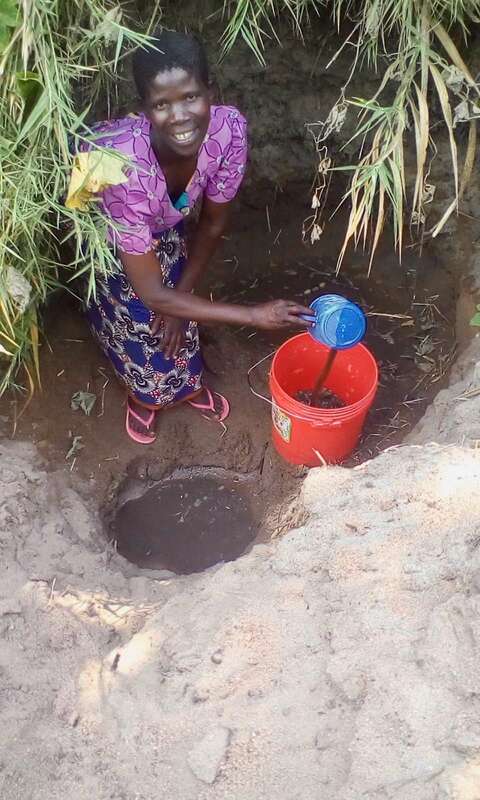 Once they arrive, the villagers can spend the whole day at the well since there may be long lines waiting for water to re-fill these shallow hand-dug wells, because the water comes out very slowly, especially during the dry seasons. The water is very contaminated despite the attempts to partially filter it. 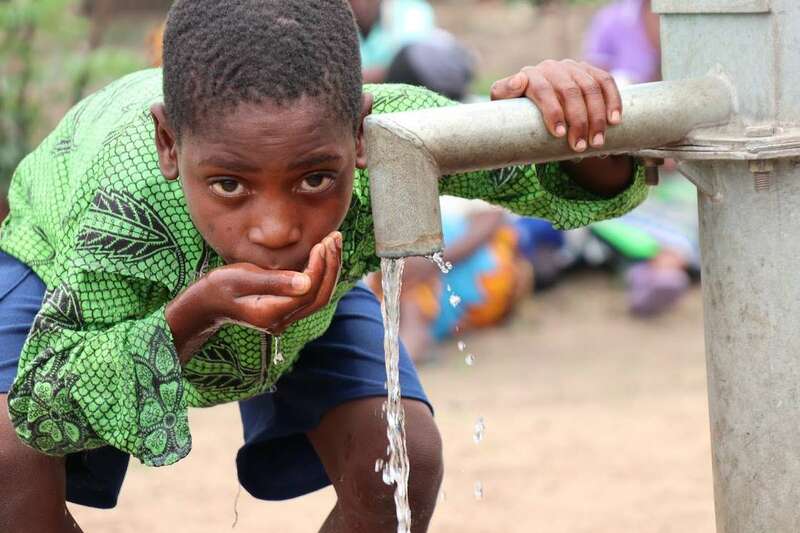 Water borne diseases claim many lives every year. 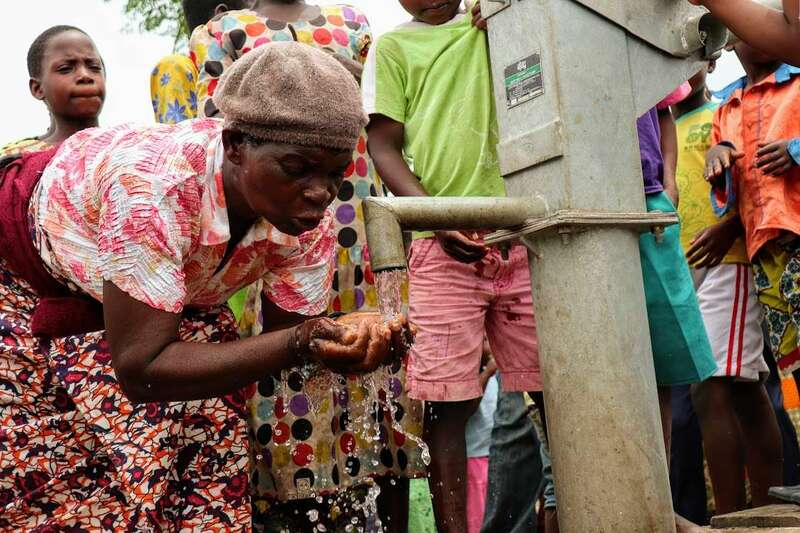 With the well that will be dug, the community will start accessing clean and protected water. “Never. 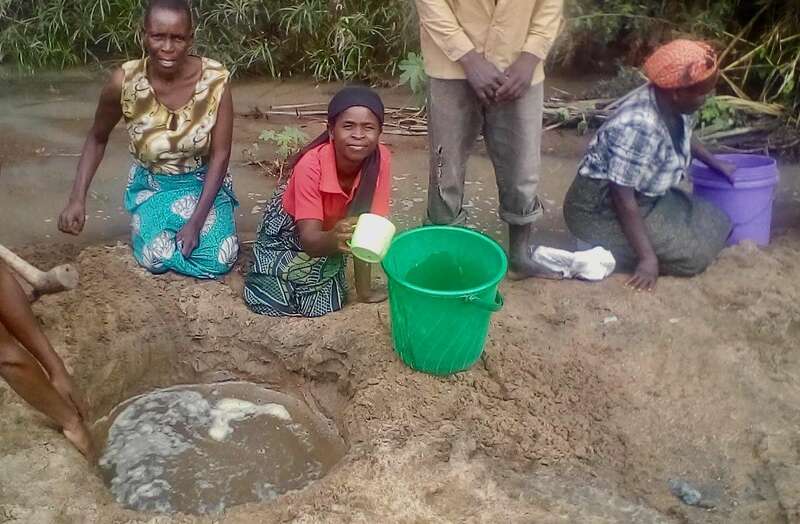 We have never used clean water in our entire lives.” As difficult as that may be for us to understand, this is what many of the people living in and around Baluwa Village, Malawi are saying. 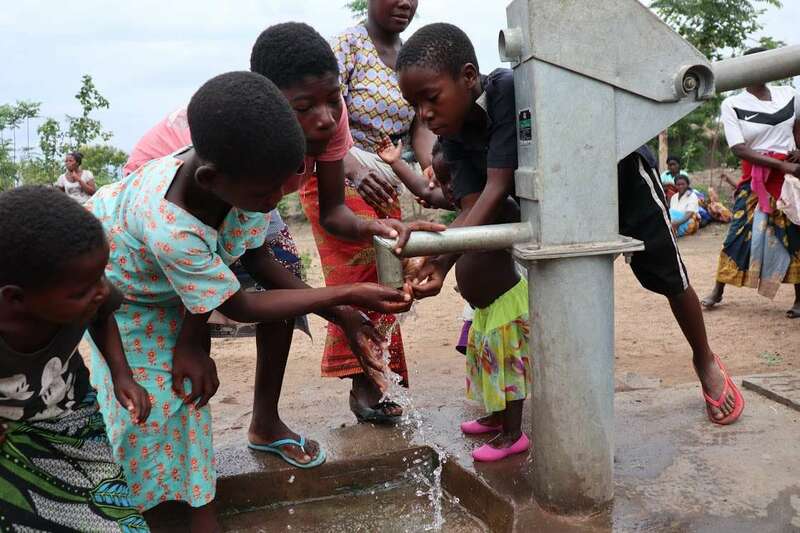 Your gift of clean water has now changed the lives of the ‘least of these’ in Baluwa Village. 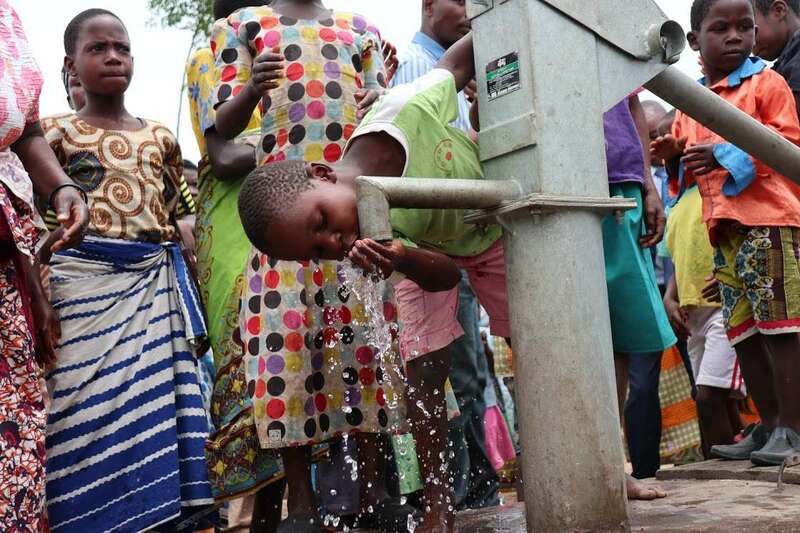 A deep well has now been drilled in the community. 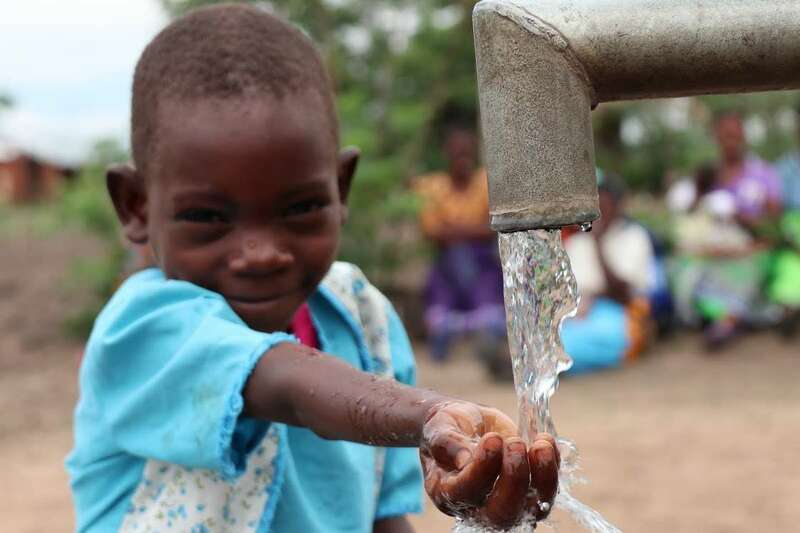 The people are enjoying safe, clean drinking water for the first time in their lives. Previously, the people were dependent on swampy, shallow streams for their drinking water and household needs. The streams dry up during the dry season to make water even more scarce. The people used to have to dig shallow, hand-dug wells near the streams and the water from those shallow wells was dirty and unfit to drink. 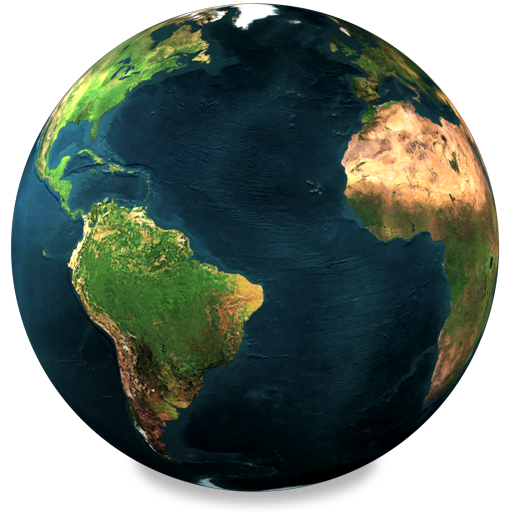 Year-round water-borne diseases including cholera and dysentery used to claim lives. One precious life that was lost just a few months ago…her name was Linda. She tragically died from cholera. Her bereaved mother told us her son was ill first with symptoms of diarrhea and vomiting after drinking bad water. He was carried to the hospital and was diagnosed with cholera. They admitted him and while his mother was taking care of him, Linda (only 8 years old), experienced the same symptoms at home. The mother rushed home to Linda only to find her little girl lying weak and pale…and when they were carrying her to the hospital she died. Stories like this are a thing of the past in Baluwa Village. You have changed everything for them! 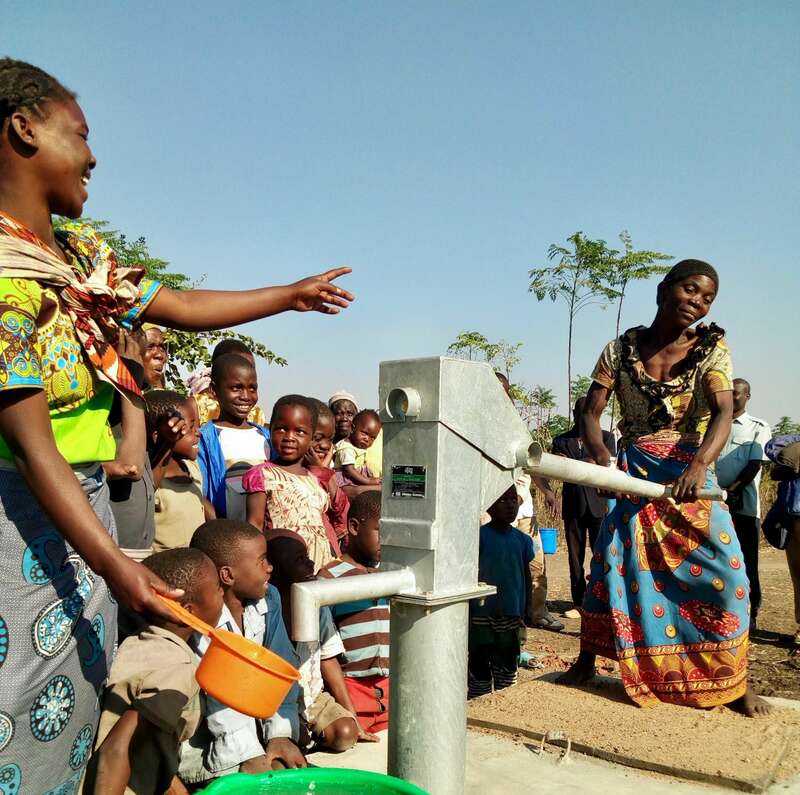 Now, that there is abundant clean water, mothers can spend much more time with their families and are now, with guidance and instruction from our partner, Heaven’s Family, growing crops. 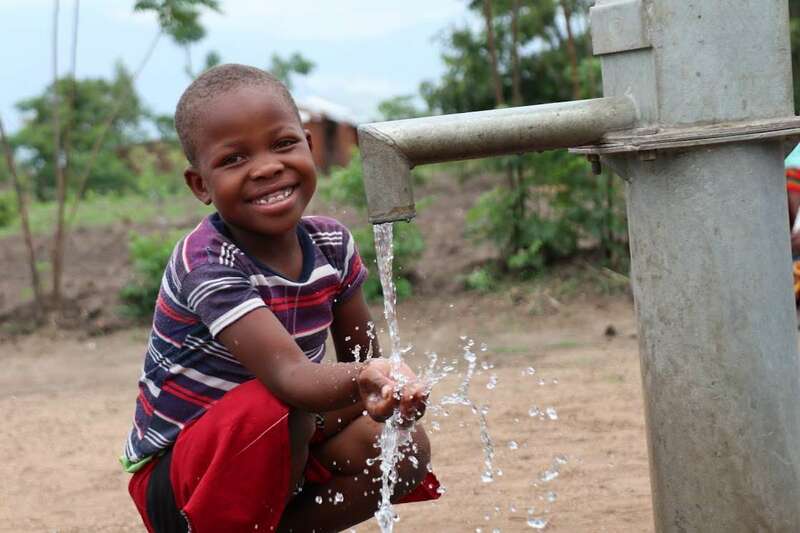 Children can go to school instead of spending hours fetching water from out of dangerous, hand-dug holes. 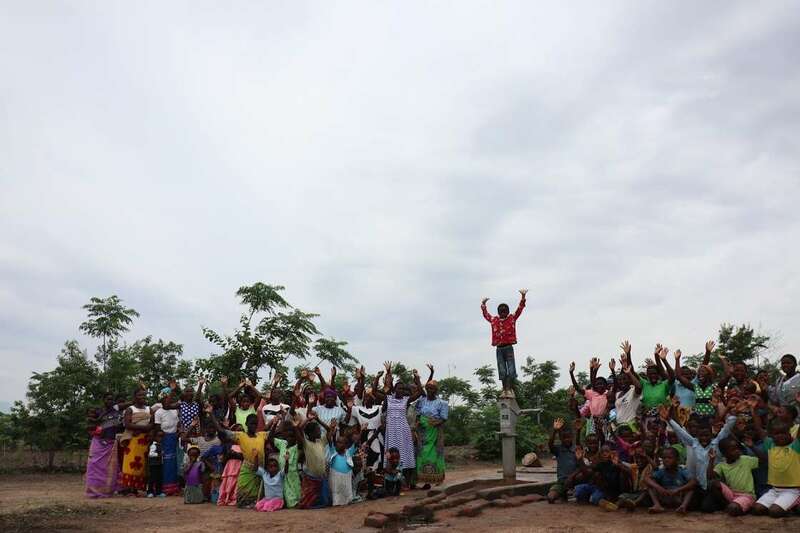 This project brought clean water to the Baluwa community, but now people from five villages 60–90 minutes each way are coming to this well to draw water. The people of these villages, like those of Baluwa, have never used clean water ever since the communities came into existence. 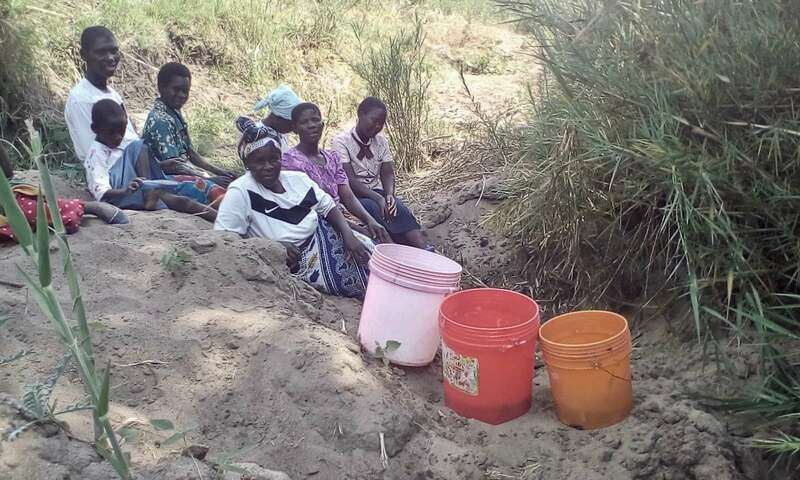 Like the people of Baluwa, they have had to dig shallow wells for water with is dirty and contaminated. 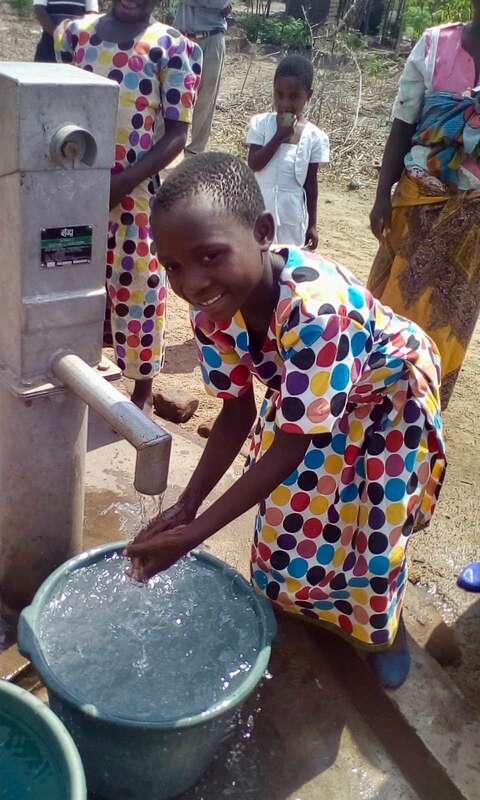 The good news is that you have changed more lives than we originally thought due to the use of the well by surrounding villages. The bad news is that it has become clear that more deep wells need to be dug in this area. We are currently discussing with our partner how we might help. Thanks again for being “World Changers”. We and the people of Baluwa Village and the surrounding area are grateful! With well up and in full operation, these pictures show a recent village celebration at the well!